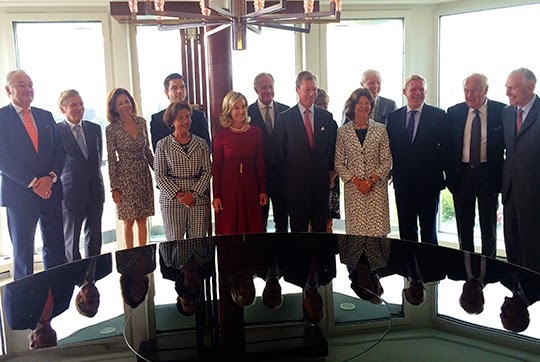 Last Friday, Grand Duke Henri made a quick trip to Geneva in Switzerland where he celebrated the 20th anniversary of Mentor International, a non-profit organisation working to prevent drug use and promote health as well as well-being amongst youth, alongside Queen Silvia of Sweden. If looks as if Guillaume is suffering from the spreading waistline of marital happiness, just a bit. :) Stéphanie looks very cute here, love the pink shoes!